The radical jihadist Islamic State (ISIS) destroyed five historic churches in northern Iraq and removed crucifixes from the cupolas, the priest Bashar Kalia said. The extremists destroyed the tombs, the statues, drawings, engravings of Virgin Mary in the ancient monastery and the religious monument of Markurkas, in the district of Al Arabi, in Mosul. 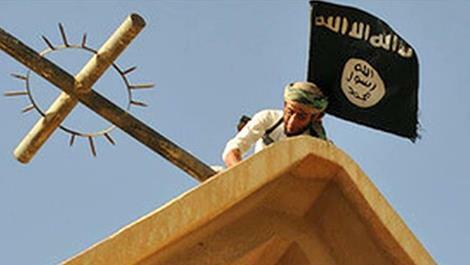 They also raised terrorist group Black flags atop the church. The priest also said that the jihadists destroyed the contents of the church of the monastery of Mar Behnam, located 15 kilometers northeast of Mosul, where Catholic monks have lived, and saw how they were taking down the crucifixes and legendary domes. They also assaulted other churches, like the one in Tel Afar district and two in the city of Mosul. The ISIS published some pictures on their websites about these destructions, which were justified in his struggle against polytheism and called Christian churches and religious buildings as "taboo, sin, infidelity and atheism". The jihadists conquered Mosul, Iraq's second city and capital of the northern province of Nineveh, last June 10 and declared a caliphate in areas under their control in northern Syria and Iraq, where they imposed a radical interpretation of Islam.